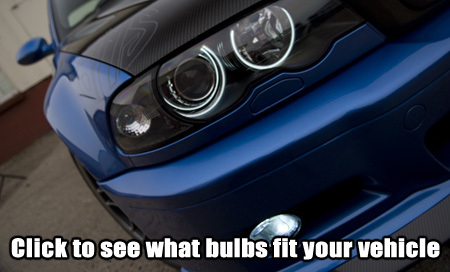 Update the lighting appearance of your BMW with these 1156 18 SMD LED Bulbs. These 1156 SMD LED Bulbs feature 18 super bright SMD LEDs that are the new generation of LEDs, as they are much brighter. 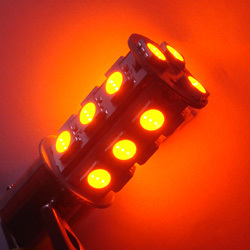 The 1156 bulbs are designed to replace your stock halogen; turn signals, corner lights, stop lights, parking lights, tail lights, or reverse lights. These bulbs have wide angle view for better reflection and overall better appearance. These 1156 SMD LED Bulbs are sold in pairs; and are available in super white, or amber. 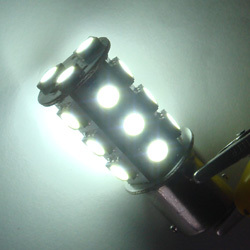 The 1156 18 SMD LED Bulbs can be cross referenced (also fit): 7506, 3497, 1073, and 1141. Each pair of 1156 18 SMD LED Bulbs comes with a 90 day warranty! 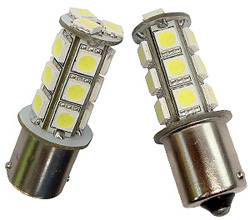 We recommend installing LED load resistors if you are upgrading your turn signal bulbs to these 1156 18 SMD LED Bulbs. 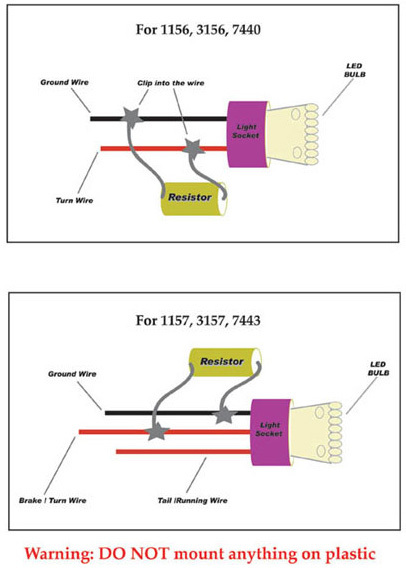 These load resistors will prevent hyper flashing, and bulb out warning messages on your dash. One resistor is required for each side, our resistors are sold in pairs.